This month we are featuring a classic wine from the Rhône valley, a well balanced blend of Grenache, Mouvedre and Syrah (with a little Carignan and Counoise added in.) 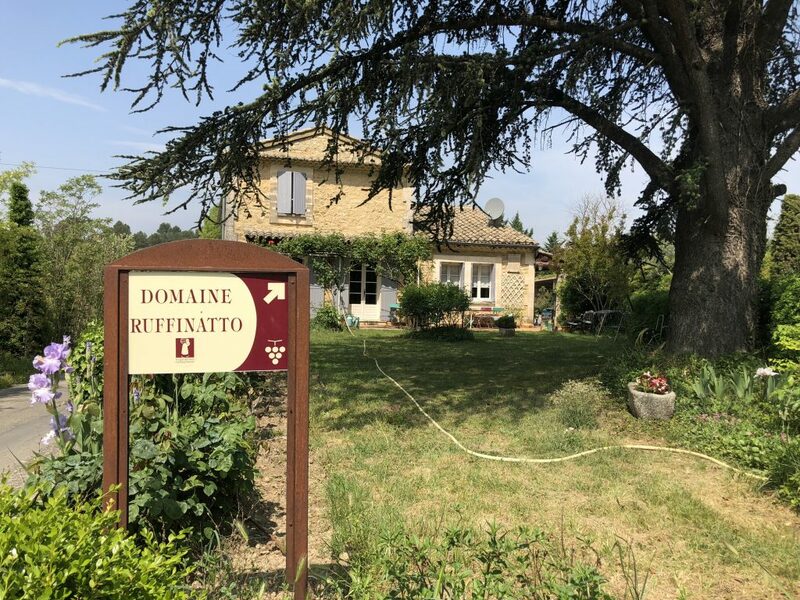 It is from Domaine Ruffinatto, a winery located in Ménerbes, a small hilltop town in the Luberon. But to understand this spectacular wine, you must know the terroir that produces it. So, let’s talk a little about the Rhône valley, in which the Luberon is located. The Rhône is in the southeastern part of France, named after the Rhône River, which begins high in the Swiss Alps. It flows through the Jura Mountains, down past the south of Lyon and plunges straight into the Mediterranean. 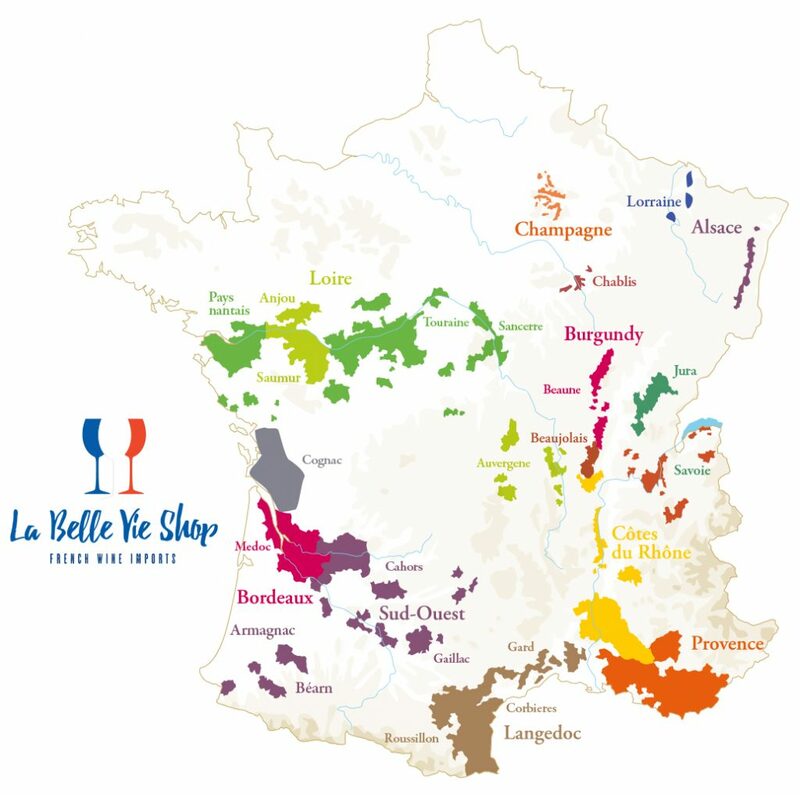 This region is most famous for wine from the north and south regions. The southern Rhône is completely different. The climate is Mediterranean, with hot, dry weather and mild winters. That being said, the south has to deal with the Mistral, a fierce, cold wind that blows in from the Alps. This wind, although a fearsome thing to behold as a person, is actually beneficial to the vines. During the growing season, it helps cool down the vines, which allows the grapes to keep some acidity, and consequently be better balanced. These wines tend to be blends, rather than a single varietal. It is here that we have the infamous GSM (Grenache, Syrah, Mouvedre) blends. Grenache, although light in color, can add a higher alcohol content to the blend. It typically adds candied fruit, raspberry, cinnamon spice and ruby red grapefruit flavor to the wine. Syrah adds structure to the wine, along with darker fruit flavors such as blueberry, plum and even black olive. Syrah tends to add a lot of flavor up front, with little after taste (or finish). Mouvedre is similar to Syrah, but with more finish. It also helps add structure and tannins, along with floral aromas. The Luberon is in the most southerly part of the Rhône Valley, and is where L’Infante is produced. 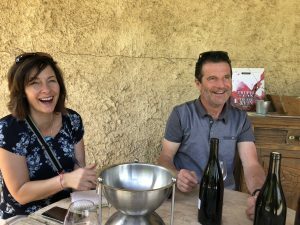 Christian Ruffinatto, the wine maker and owner of Domaine Ruffinatto is extraordinarily talented, and it shows in this beautiful wine. His love and respect for the land translates into a focus on producing well balanced, vibrant organic wines. 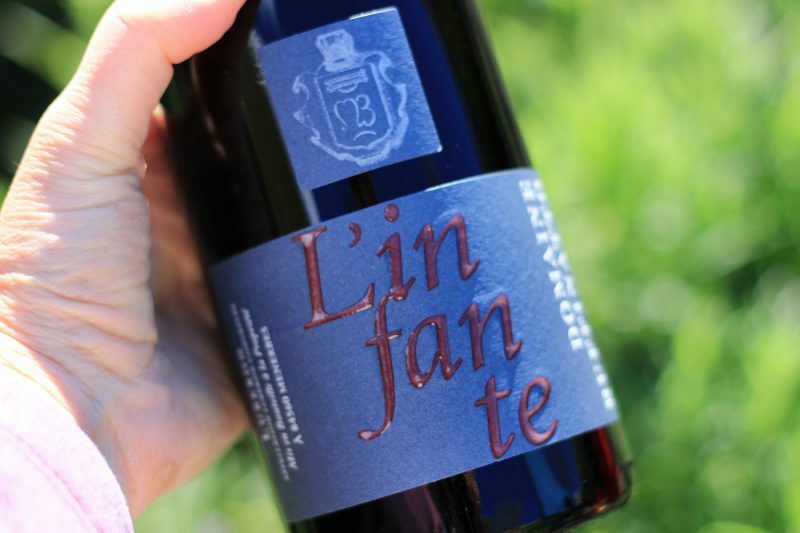 L’Infante is cultivated from 50 year old vines and hand harvested. It is a classic blend of Grenache, Syrah, and Mourvédre, with a little Carignan and Counoise added in. It has a deep red color with violet hues and a captivating nose of black fruits, cherries and spice. It is beautifully balanced with round, silky tannins and a long smooth finish. As this wine opens, it truly delights the palate. This wine is a classic example of a southern Rhône wine, and one that you should not miss.